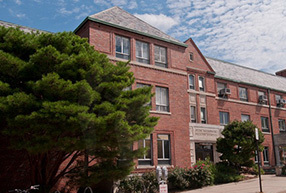 Student health and well-being is central to academic success. 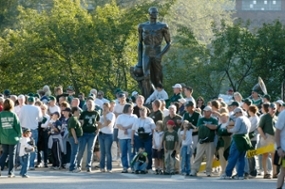 Michigan State University provides information and services to help students develop and maintain good physical, psychological, and emotional health. Website provides parents and family members an opportunity to play an active, supporting role in the education of their student, offers helpful information, and fosters communication among families, students, and MSU. 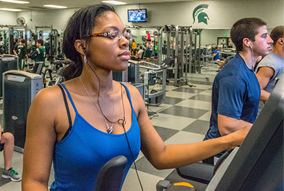 Provides safe, supportive, and active environments that are responsive to the MSU community’s diverse fitness needs and engages the university community in healthy lifestyles through sport, fitness, and recreational opportunities. Includes club and intramural sports. Michigan State University offers several options for students looking to get from one place to another safely.